We provided sailing experience over half day/day/weekends . These were on dinghies/powerboats/modified sailing & motor yacht for young people affected by disability. 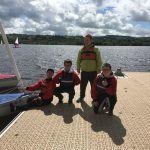 These experiences took place on the Clyde or at Castle Semple RYA Sailability Centre of Excellence. We delivered the Cafe Holiday Club 5-days per week (9 week school holidays) 2-weeks Spring, 6-weeks Summer, 1-week October. 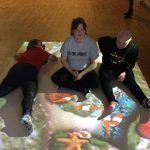 We aimed to offer disabled children and young people FUN, exciting and challenging activities, supporting and extending development through Free Play, Crafts, Dance, Drama & Sport. We ran a monthly Saturday club for school children with Profound and Multiple Learning Disabilities aged 8-19 years and their families. The clubs were delivered by PAMIS with RNIB at their Springfield Centre, offering a programme of activities. 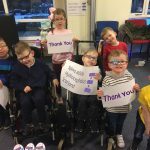 We provided monthly peer support groups for children & young people with Spina Bifida/Hydrocephalus aged 0-18 years, as well as their carers and siblings, in Glasgow and Peterhead. Children participated in activities aimed specifically at their needs while carers enjoyed a break from their caring routine. Project provided group activity for 13 children and young people from ages 5 to 18 with multiple disabilities and from BME communities. The activities were designed to be stimulating and fun to improve the health and wellbeing . There carers received break from their caring role. Our project promoted integration, social connectedness and activity opportunities that supported the development of 50 young people to become integrated with mainstream sport and social activities by bringing together teams that Trust Rugby International have to date in the West and East of Scotland. We provided a 1 week activity break for 11-14 year olds and two residential weekends for 15-18 year old with vision impairment to promote their independence and allow respite for parents/carers. We provided family days across the country offering peer support and a break from the normal routine. 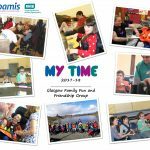 Beachcombers playscheme ran for 3 days a week during school holiday times for children and young people with additional support needs living in South West Glasgow. Transport was provided for outings outwith the playscheme and the carers were able to accompany the child or young person to enjoy this experience together. Beachcombers have extended the service to young people between the ages of 18 – 20 and their families to provide some sort of transitional service to young people moving into adulthood. We provided weekly befriending sessions for Carers aged 60 years + who due to their high caring role combined with their own health issues had become increasingly isolated, disconnected from their local community and suffering from high levels of stress with little or no time for themselves. We provided 25 places for Glasgow children to attend our holiday playschemes over a period of 8 weeks over the year. 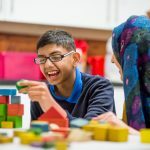 This gave families who have children with complex needs the opportunity to have some much needed respite while their young people were looked after in a safe, caring and stimulating environment. "I am able to talk to somone who understands and listens"